You just got in an accident. From medical treatment to vehicle repairs, you have plenty on your plate already. 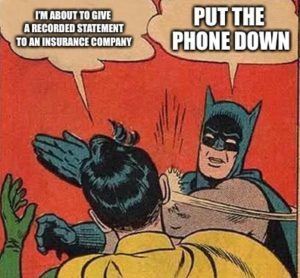 Then you get a call from the insurance company, and they are asking for you to provide a recorded statement. What next? What if I do not have an attorney yet? If you have not hired an attorney, any insurance companies involved will likely be calling you directly to obtain a statement. Anything you say in that statement can be used against you to minimize the value of your claim, or to deny liability entirely. Without an attorney’s guidance, these questions can trap you into answers that hurt your case, so you should always say “no” to requests for statements. How can an attorney help me? Depending on the attorney and law firm, your attorney could advise you to give a statement only in their presence, or after a lengthy prep session. At TLG, we operate on a fairly strict “no statements” policy, so our clients only give statements when absolutely necessary. You often have no legal obligation to provide a statement, and if you do, you can request that the statement not be recorded. Won’t it hurt my case if I do not cooperate with the insurance companies? People often think they are helping their case by cooperating with the insurance company and providing a detailed statement. Many people even volunteer as much information as possible in an attempt to be helpful. This is a mistake. Seemingly harmless information or ambiguous answers can be used against you in ways you would not expect. What if I already provided a statement? Do not panic. Pick up the phone and call a qualified Personal Injury attorney. They can help evaluate your case and advise you as you navigate the next steps toward receiving compensation. At the Teplinsky Law Group, our experienced Personal Injury attorneys communicate with insurance companies on a daily basis. We know how to approach each step of your case, and will help you obtain the compensation you deserve. 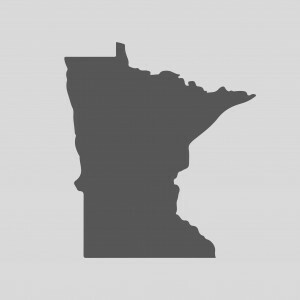 If you’re interested in speaking with one of our attorneys, call us at 612-465-0320 to schedule a free consultation. Even if you are unsure of hiring legal help for your injury, it never hurts to call.